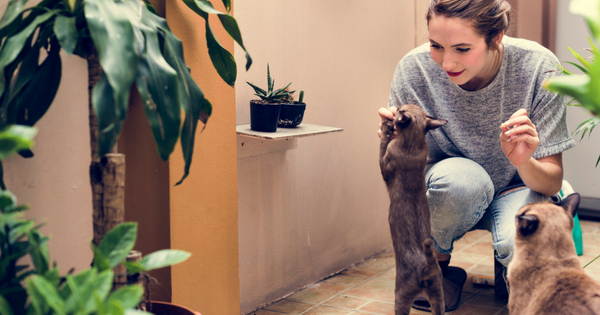 Who Will Care for Your Pet While You’re Away? Summer is upon us, so that means anything from quick getaways to long vacations are happening. Some people take their pets on their trips. However, it’s not possible in many cases. For example, if you’re going on a multi-country tour in another continent or camping in the deep wilderness. Aside from the fact that it’s not practical to have your pet tag along, you also have to consider if a specific travel is suitable for their health and temperament. This brings up an important concern: Who will care for your pet while you’re away? You can leave your pets with trusted family members or friends. You can also go with a friendly neighbor or two. Or you can ditch the favors and hire a professional pet sitter, or a house sitter whose duties also include taking care of your pets. You can also leave your animals at a pet boarding facility, a veterinary hospital, or other establishment offering similar services to ensure your pets are under the care of specially trained professionals. There are advantages and disadvantages to whatever choice you make, but the decision should always depend on what’s best for your pets. For example, some animals get anxious around new people or in new places, so you may want a friend to take care of your pet. On the other hand, some animals have very specific health needs that it’s better for them to be with medical staff at a veterinary hospital until you come back. Emergencies happen when you least expect them. So you have to be prepared in case something happens to your pets while you’re on vacation. Thanks to smartphones, it’s easy for your pet caregiver to talk to you about making decisions for your pets even if you’re on the other side of the world. Still, you have to consider the possibility that there will be instances when you can’t be reached, like when you’re flying across oceans or holidaying on a remote island. Budget – Set aside money for possible procedures and treatments your pets may undergo given whatever health condition they have. Indicate the maximum amount you can realistically spend. Payment – Make arrangements on how you’re paying for the medical expenses. You can leave the cash with the primary caregiver, pay with a credit card, or confirm a reimbursement agreement. Disappearance – Microchip your pets. You won’t be around to launch a search if they get lost. So it’s best to prevent it from happening in the first place. Your pets are more likely to become lost because they may wander off to try and look for you. Death – Leave instructions on how to handle remains of your pet should a death occur either by accident, natural causes, or euthanasia. This is the worst-case scenario that can happen to your pets, but it’s a possibility you have to prepare for. Keep communication lines open before and during your trip. Before setting off, talk to the primary caregiver. Leave detailed instructions for everything, from meals to activities, and any special considerations in between. While you’re away, regularly check on your pets regardless of how much you trust your caregiver. It’s not just about trust anyway; it’s also about making sure your caregiver gets the guidance they need. Because whether you’re beside your pets or a thousand miles away, they still need you to look after them.